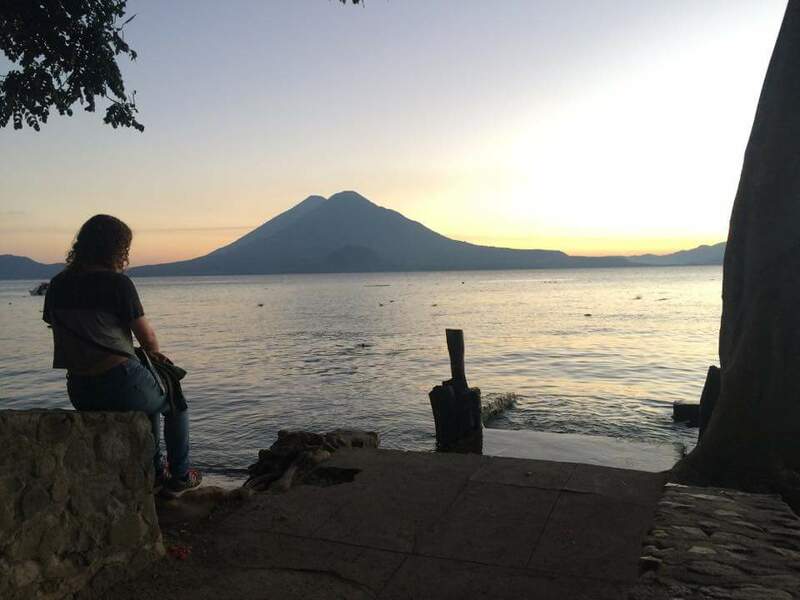 I sat down on a grey, cold, stone wall watching the bright sun set over the tranquil lake Atitlan. The beautiful oranges and yellows gave me a sense of hope. It was new years eve and I had just rocked up on my own to Panahachel after taking three mobbed, hectic, jam-packed chicken buses. The journey was an adventure, attempting to find the right connections, standing up in the middle of the coach for hours clinging onto the baggage rack and then sharing a two person seat with four others for the last leg if the journey. While I was relived to be in Panajachel it felt strange being alone on new years eve. As I travel to each place I have no idea what to expect or where I will end up. I just go to places I have heard people talk about. Thus far I have not really documented the hardships of traveling alone. I would be lieing if I said it was always a breeze. Of course it is not, that’s what makes solo travel so exciting, character building and rewarding. Over three years ago when I started university the concept of being alone scared me, I spent lots of time surrounding myself with so called friends, who now I haven’t spoken to for a couple of years and going out a lot to avoid nights in by myself. Since then, I have realised that the most important thing is in fact being able to spend time alone, to be happy with yourself and do things you enjoy. Being alone while traveling I have really appreciated this. However, as mentioned before it is no easy task. There are those moments, particularly on new years Eve, Christmas or after a long tiring bus journey, when you just want to be with your family and friends or to be able to talk in English to someone else. While, it’s great that I’m being surrounded by Spanish speakers, it also can feel isolating, frustrating and lonely. At the same time when I am able to a talk in Spanish or understand something it is the best feeling ever. So here I was alone on new years eve feeling the strain of solo travel when I was approached by a friendly Guatemalan. We started chatting in English and immediately I felt so much better. I was invited to my new friend’s family new years eve massive dinner and then out for some salsa dancing in a local club after with a group of friends. I attended the dinner – the only white person there, ate some great food and saw fire works explode all around the lake from the different villages, it was beautiful and such a lovely evening. It just shows how fast things can change while traveling. One moment you wonder where on earth you are and the next you are emersed in local culture, see incredible things and are blessed with great company. I have spoken to many solo travelers about this and have concluded it’s a natural, normal and necessary way to feel. If you are going to get the most out of traveling you do have to endure the hard times too. So with that in mind next time you are feeling low follow my top tips. – Realise your struggle is temporary. Soon you will see something incredible, meet someone amazing or figure out what your next step is. And it will be so worth it you won’t remember you were feeling stressed, low or in a rut. Bare in mind this low point will only make the high points even more phenomenonal. – Different things work for different people. Sometimes a good hearty meal and an ice-cream may help. Other times, you may need to talk to someone back home (be weary, this can also have the opposite effect, making you miss them etc). An early night and long sleep – sometimes the issue is your just tired. Talking to other fellow travelers is a good distraction. Or tackling it alone can be just as good, go to a cafe with a notepad and pen and write down why you feel this way and talk yourself out of it. -Remember you are super lucky. Not everyone gets the chance to travel the world. It is a blessing you cannot take for granted. Look at pictures of what you did yesterday. I guarantee you did something amazing and that is why you are traveling. -Think of something crazy, challenging and hard you did and tell your self if you did that you can do anything. -You have got this far travelling alone, so you can clearly do it. And if you are at the beginning of your journey it is going to speed by, persevere, give it a go and enjoy the incredible ride. I hope my top tips will help you out. It’s important to realise that you are not the only one. Every solo traveler feels the strain from time to time. I can tell you I certainly do, it’s no bad thing, nothing to be ashamed of and can be overcome by talking about it. It is hard living out of a rucksack, not having the security of a home, not having comforts (hot water, showers, clean toilets, comfortable beds etc) but experiences make you culturally aware, live simply and sustainable and most importantly bring you to magical, majestic and magnificently stunning place. The most amazing thing I have found is that everything works out in the end. 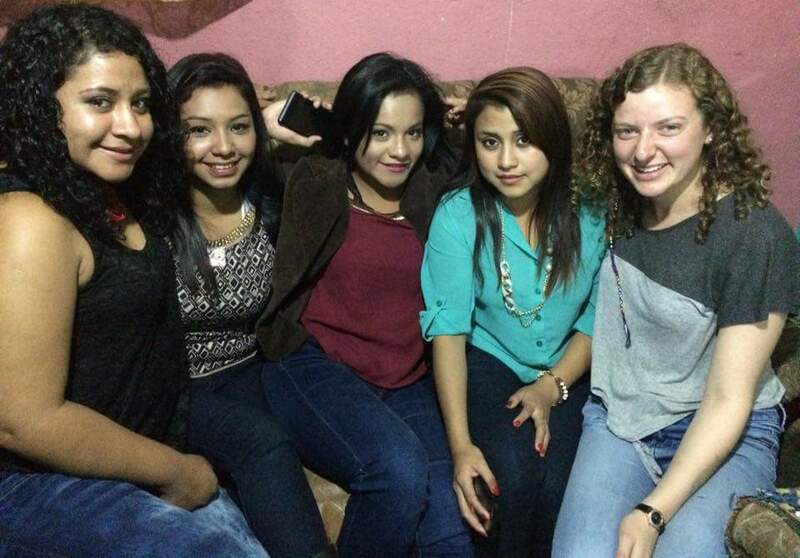 Somehow I have got with limited Spanish through Mexico and Guatemala on my own – if I can do it anyone can. Fate has a funny way of guiding you along. You just have to let go of all your fears and trust that you will find your way.